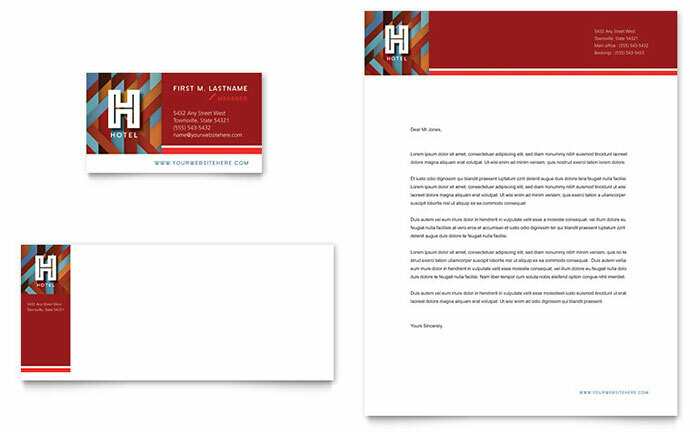 Continuing with the series of designs you need for your business, this week we’ll be discussing letterheads. While they may seem outdated, they are a very great way to brand your documents and always have your contact information in reach of anyone who has received anything from you, making it a couple easy steps to get in contact with you and your business. 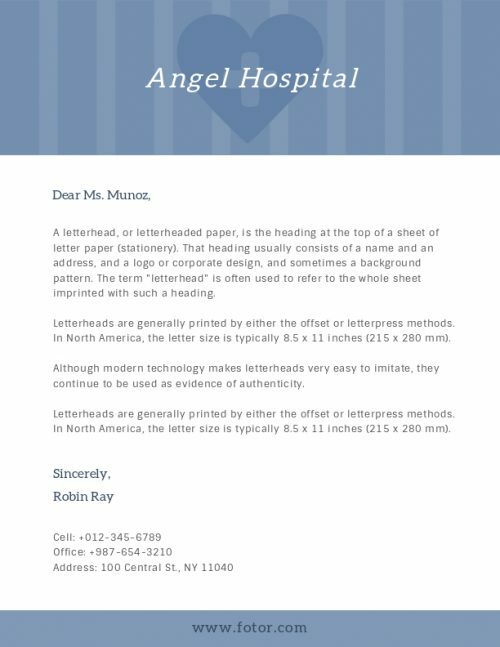 First, let’s define what a letterhead is: a header that includes a name and address, a logo or corporate design, and sometimes a background graphic design. 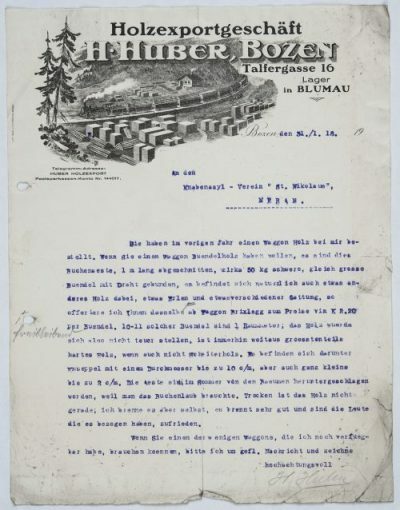 As you can see in these two examples, they are very prominent pieces in these documents. Yours, in this day and age, will be smaller. It’s still a great way to brand everything you give out. 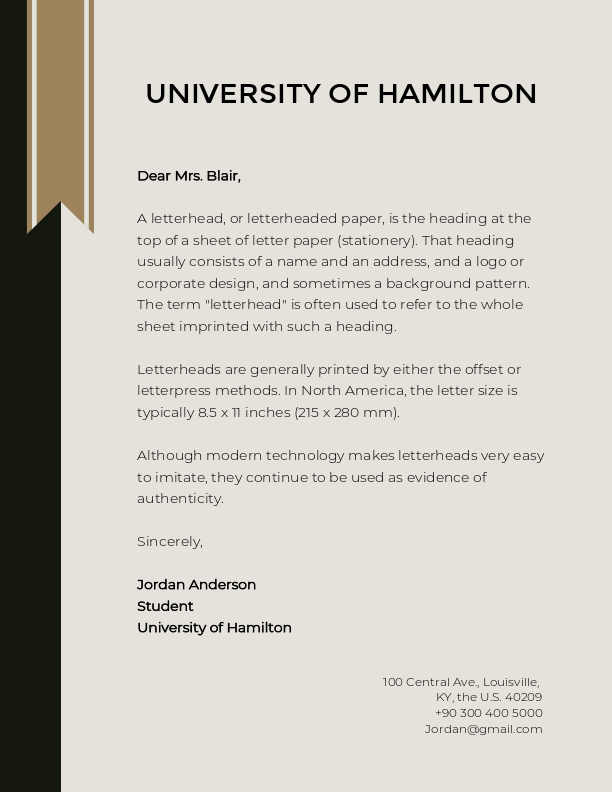 How Should You Design Your Letterhead? The most important concept to keep in mind is to keep it simple. It’s a way to deliver information to the reader, and they don’t want to have to hunt for the information they’re looking for. When in doubt, make it easier to read. While a cliché, it is apt in this situation. If you’re sending a more personal letter, having your personal contact info is better than having general contact info for your business. If it’s more generic, then give more generic contact info. Before, you’d get your letterheads printed on by a professional, who could help you with all manner of crazy designs that went all the way to the edge of the page. Nowadays, you’ll more than likely print in the office, which means your prints aren’t as well-equipped for interesting designs. That means you need to keep in mind what your equipment can perform, and some more creative designs may not be possible. So, keep it within the capabilities of your office printer. Make sure that your letterhead matches the rest of what you’ve designed for your business cards, website, apps, etc. If you go for a professional printer to make your letterhead, see all the options they have available to make your letterhead stand above the pack. You can use UV printing, just like on your business cards, which we talked about HERE, to make a spot stand out compared to the non-UV stuff. Keep everything consistent with your other media and marketing designs. 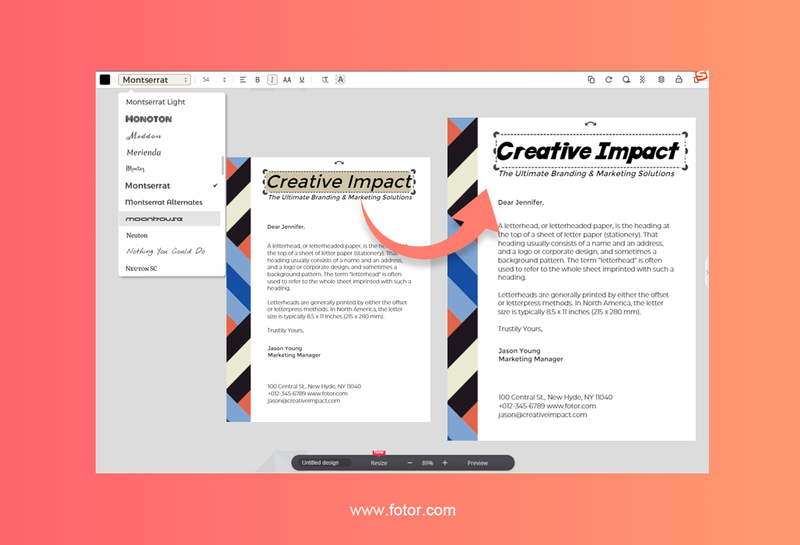 Take advantage of the shape of A4 paper and consider putting your logo off-center to create a more connected design. 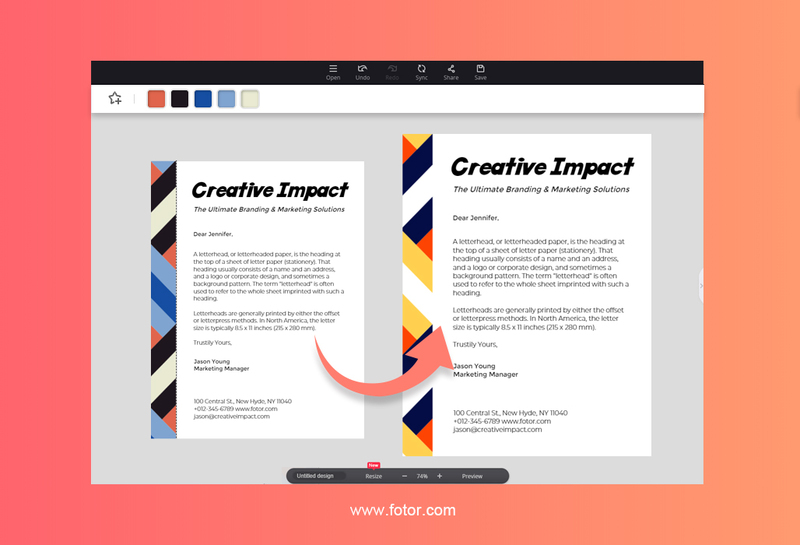 Color is one of the best ways to make your design pop, but too much will distract from the letterhead’s main purpose. The colors should match your company’s feeling, tone, professionalism, and anything else you want to convey. You should also be aware of the tools available to you. 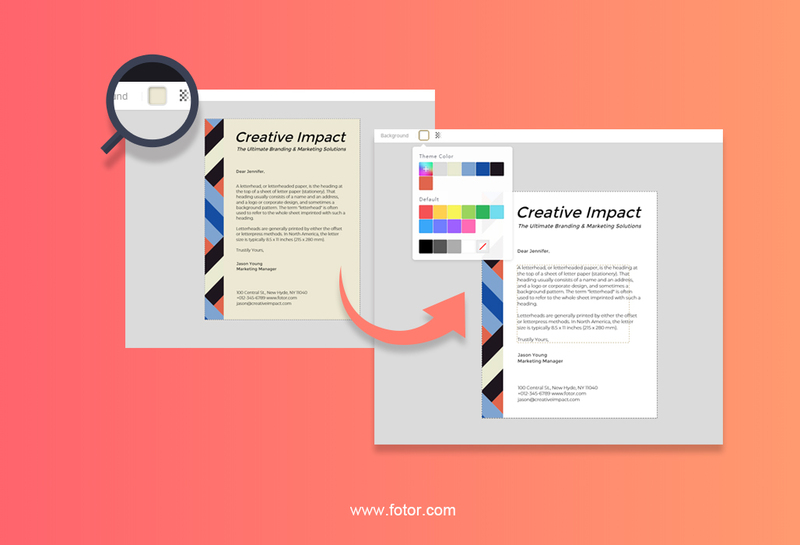 Fotor is one of those great tools available to you that makes designing a letterhead so easy. Let’s see now how easy it is. 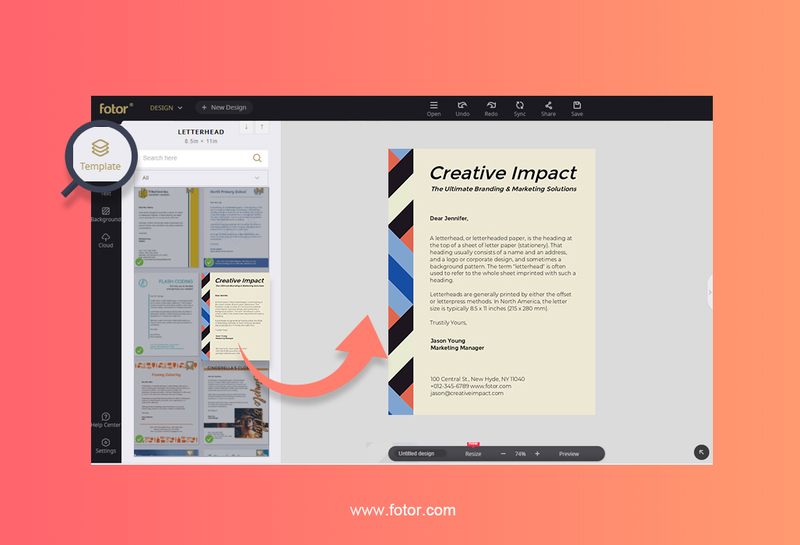 Go to Fotor and click on Design to find the letterhead designs. It will be right at the top below “RECOMMENDATIONS”. 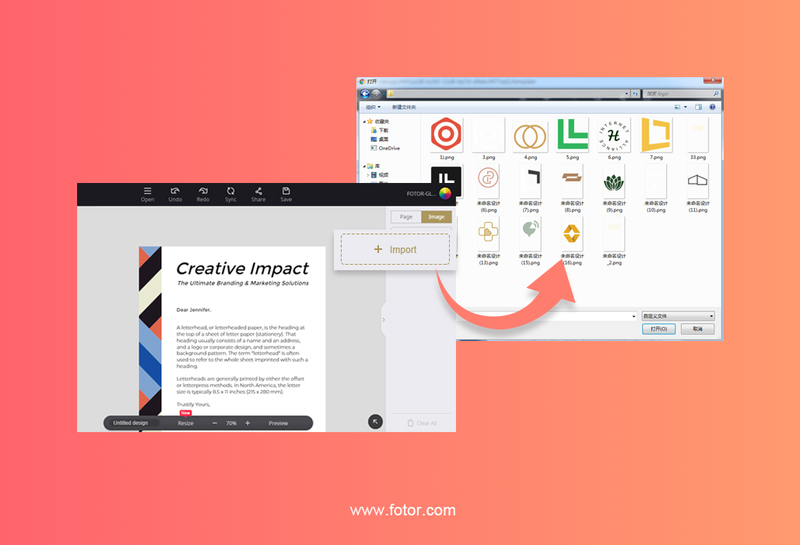 After that, you can choose from the plethora of options Fotor has already done most of the heavy lifting on. That means you only need a few clicks. Let’s say you’re making a letterhead for your graphic design business, and we’ll start with this template. I think this design is pretty cool, but I don’t like the background color so much, and I think the font could use some work. I think that looks much cleaner. Now, to work on the actual header. 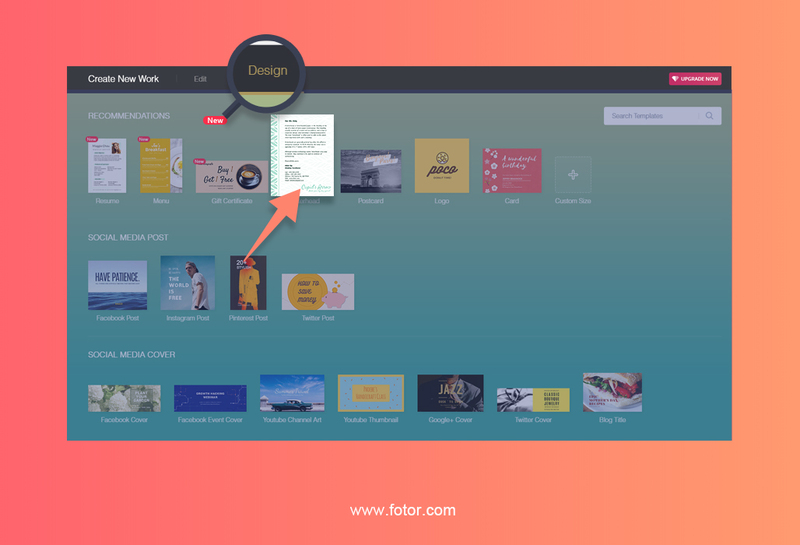 Here, you could upload your own images to put your logo at the top. 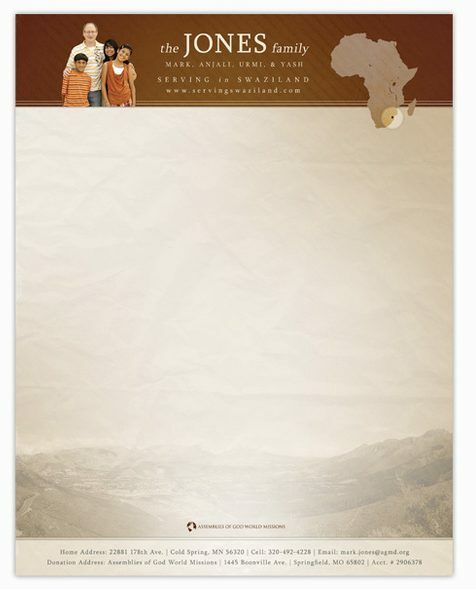 Click on “Import” on the left, follow the prompts, select your image, and now your logo is on your letterhead! Now, let’s work on the font. Now, I’m going to change around the colors of the design on the left side, and see what I can do. Here, you can see how easy it is to customize their templated designs. Each one is able to be customized. As you can see, some are minimalistic, and some are more creative. What that means is no matter your profession, you have to change only a few things to make one of their boilerplate letterheads into something that matches your business. There you have it! Designing a letterhead is simple, but a necessary part of any business. 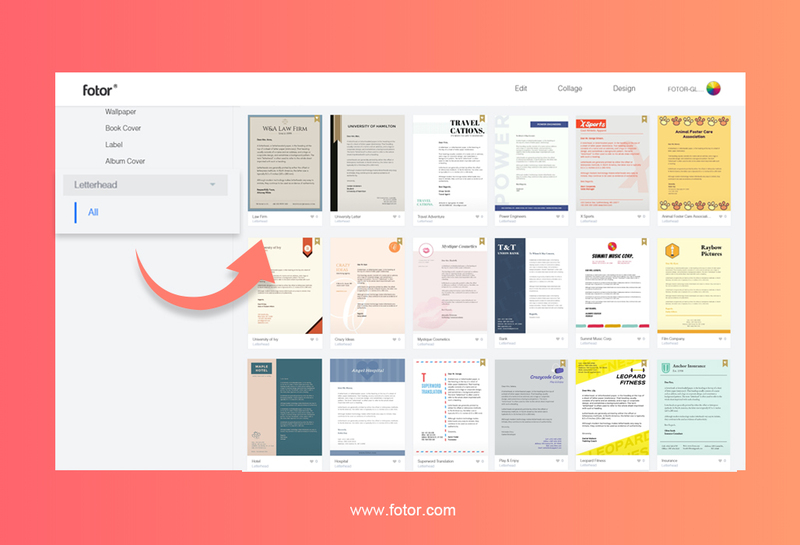 Thanks to Fotor, designing a professional-looking letterhead has never been easier!